Kaschel C., H., & Bernal, L. M. (2006). Importance of Flexibility in Manufacturing Systems. International Journal of Computers, Communications & Control, Vol. I, No. 2, 53-60. Qiao, G., Lu, R. F., & McLean, C. (2006). Flexible Manufacturing Systems for Mass Customisation Manufacturing. 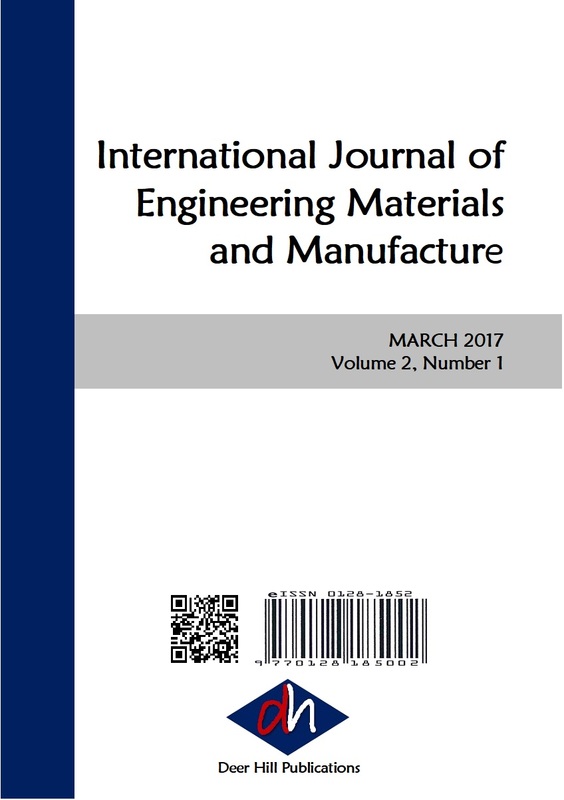 International Journal of Mass Customisation, Vol.1, No. 2/3, 374 – 393. Heizer, J., & Render, B. (2005). Operations Management, 8th edition. New Jersey: Pearson Prentice Hall. Xing, K., Lin, F., & Hu, B. (2001). An Optimal Deadlock Avoidance Policy for Manufacturing Systems with Flexible Operation Sequence and Flexible Routing. Proceedings of the IEEE International Conference on Robotics 8 Automation, Vol. 4, 3565 – 3570. Fanti, M. P., & Zhou, M. (2004). Deadlock Control Methods in Automated Manufacturing Systems. IEEE Transactions on Systems, Man, and Cybernetics, Part A: Systems and Humans, Vol. 34, No. 1, 5-22. Leibfried, T. F. (1989). A Deadlock Detection and Recovery Algorithm Using the Formalism of a Directed Graph Matrix. SIGOPS Operating Systems Review, Vol. 23, Issue 2, 45 – 55. Yalcin, A., & Boucher, T. O. (2000). Deadlock Avoidance in Flexible Manufacturing Systems Using Finite Automata. IEEE Transactions on Robotics and Automation, Vol. 16, No. 4, 424 – 429. Shivanand, H., Benal, M., & Koti, V. (2006). Flexible Manufacturing System. New Age International Pvt Ltd Publishers. Basak, Ö., & Albayrak, Y. E. (2014). Petri Net Based Decision System Modeling In Real-Time Scheduling and Control of Flexible Automotive Manufacturing Systems. Computers & Industrial Engineering, 2-11. Chahal, V. (2012). An Efficient Approach of Good Manufacturing Flexibility by FMS and RMS with Minimizing the Overall Wastage by JIT. Proceedings of the National Conference on Trends and Advances in Mechanical Engineering, Faridabad, Haryana, 833-838. Baruwa, O. T., Piera, M. A., & Guasch, A. (2014). Deadlock-Free Scheduling Method for Flexible Manufacturing Systems Based On Timed Colored Petri Nets and Anytime Heuristic Search. IEEE Transactions on Systems, Man, and Cybernetics: Systems, issue 99, 1-16. Li, Z., Wu, N., & Zhou, M. (2012). Deadlock Control of Automated Manufacturing Systems Based On Petri Nets—A Literature Review. IEEE Transactions on Systems, Man, and Cybernetics—Part C: Applications and Reviews, Vol. 42, No. 4, 437-462. David, R., & Alla, H. (2010). Discrete, Continuous, and Hybrid Petri Nets, 2nd Edition. Berlin: Springer. Xing, K., Han, L., Zhou, M., & Wang, F. (2012). Deadlock-Free Genetic Scheduling Algorithm for Automated Manufacturing Systems Based On Deadlock Control Policy. Transactions on Systems, Man, and Cybernetics—Part B: Cybernetics, Vol. 42, No. 3, 603-615.